Our goal is to enable our customers to successfully integrate Additive Manufacturing into their business to sustainably benefit from the new technology. Since 2007, Maximilian Munsch is a professional user of Additive Manufacturing. After finishing his dissertation on reduction of residual stresses in metal Additive Manufacturing in 2012, he acquired extensive hands-on experience with metal powder bed based Laser and Electron Beam Melting processes in industry. His focus is on the full Additive Manufacturing process chain required for industrial production. Max has successfully planned, implemented and qualified multiple Additive Manufacturing productions for regulated applications. 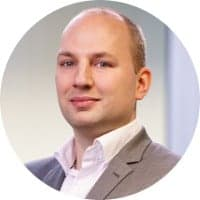 Matthias Schmidt-Lehr successfully managed countless projects in Additive Manufacturing with focus on part screening, business case development, AM design optimization and production in both metal and plastic materials. With a history in the consulting business, he is committed to customer satisfaction, project management and controlling. 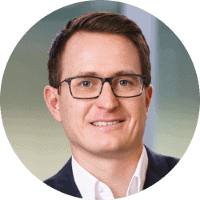 In his former positions Matthias gathered experience in business development, customer relationship management, as well as marketing and sales. Eric Wycisk can look back on 10 years in Additive Manufacturing with a focus on metal, especially titanium alloys. In his former affiliation, he was team leader and Key Account Manager for aviation applications and light weight design. 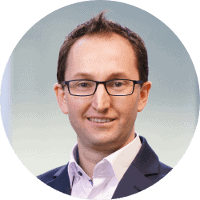 He managed multiple projects concerning topology optimization and light weight design, process development and optimization as well as industrial implementation of Additive Manufacturing. The research in Eric’s dissertation focuses on fatigue properties of laser beam melted Ti-6Al-4V. The goals of our clients come first. This principle forms the basis for our consulting activities. Unrestricted confidentiality is a matter of course for us and the prerequisite for successful and close cooperation. Complete independence in every project. Our advice is free from any influence whatsoever. Munsch, M., Emmelmann, C.: Laser freeform fabrication of porous network structures for dental application. in Proceedings of the Fifth International WLT-Conference Lasers in Manufacturing, LIM 2009, June 15th – 18th. 2009. München: AT-Fachverlag. Schwarze, D., Derrer, J.-P., Munsch, M., Emmelmann, C.: SLM Bauteile für die Luftfahrtindustrie. Vortrag 15. Anwenderforum RPD, Stuttgart 13.10.2010. Seyda, V., Munsch, M., Scheinemann, P., Emmelmann, C.: Laser Additive Manufacturing of modified implant surfaces with osseointegrative characteristics. In: Schmidt, M.; Zaeh, M.; Graf, T.; Ostendorf, A. (Hrsg. ): Physics Procedia, Volume 12, Part A, 2011, Lasers in Manufacturing 2011 – Proceedings of the Sixth International WLT Conference on Lasers in Manufacturing, München, p. 375-384. Emmelmann, C., Petersen, M., Kranz, J., Wycisk, E., (2011) “Bionic lightweight design by laser additive manufacturing (LAM) for aircraft industry”, Proc. SPIE 8065, 80650L. Emmelmann, C., Kranz, J., Wycisk, E., Sander, P., (2011) “Redefining lightweight aircraft design by Laser Additive Manufacturing and bionics”, The Laser User, Issue 64, Association of Industrial Users Ltd., Abingdon. Munsch, M., Emmelmann, C.: Functional products through laser additive manufacturing of TiAl6V4.Vortrag. Workshop LAM Laser Additive Manufacturing 2012, Houston, Texas, USA. 29.02.2012. Wycisk, E., Kranz, J., Emmelmann, C., “ Influence of surface properties on fatigue strength of light weight structures produced by Laser Additive Manufacturing in TiAl6V4″, Proceedings of DDMC Direct Digital Manufacturing Conference 2012, Berlin, Germany, 14.-15.03.2012. Wycisk, E., Kranz, J., Emmelmann, C., “ Fatigue Strength of Light Weight Structures produced by Laser Additive Manufacturing in TiAl6V4″, Proceedings of 1st International Conference of the International Journal of Structural Integrity, Porto, Portugal, 15.-28.06.2012. Emmelmann, C.; Herzog, D.; Kranz, J.; Klahn, C.; Munsch, M.: Manufacturing for Design – Laseradditive Fertigung ermöglicht neuartige Funktionsbauteile. Fachbeitrag. In: Industrie Management, ISSN 1434-1980, 29. Jahrgang (Ausgabe 2/2013), S. 58-62. Munsch, M.: Reduzierung von Eigenspannungen und Verzug in der laseradditiven Fertigung. Dissertation. Cuvillier Verlag, Göttingen, Germany, 2013. Wycisk , C. Emmelmann, S. Siddique, F. Walther: “High Cycle Fatigue (HCF) Performance of Ti-6Al-4V Alloy Processed by Selective Laser Melting”, Advanced Materials Research Vols. 816-817, (2013), pp 134-139. Wycisk, E., Siddique, S., Herzog, D., Walther, F., and Emmelmann, C. Fatigue Performance of Laser Additive Manufactured Ti–6Al–4V in Very High Cycle Fatigue Regime up to 109 Cycles. Front. Mater., 2:72, 2015. doi: 10.3389/fmats.2015.00072. Shafaqat Siddique, Eric Wycisk, Gerrit Frieling, Claus Emmelmann, Frank Walther: “Microstructural and Mechanical Properties of Selective Laser Melted Al 4047”, Applied Mechanics and Materials Vols. 752-753,(2015),pp 485-490. Munsch, M.: Additive Fertigung endoprothetischer Individual- und Serienimplantate. Vortrag 10.06.2015. RapidTech 2015. Erfurt, Germany. Scheinemann, P., Munsch, M., Schenk, L.: Today’s Challenges In 3D Printing Process Chain Of Custom-Made Implants. 2015 ISOLS-MSTS Combined Meeting October 6-10, 2015, Miami, USA. Bsat, S.; Yavari, S.A.; Munsch, M.; Valstar, E.R. ; Zadpoor, A.A. Effect of Alkali-Acid-Heat Chemical Surface Treatment on Electron Beam Melted Porous Titanium and Its Apatite Forming Ability. Materials 2015, 8, 1612-1625. Munsch, M.: Patientenindividuelle Endoprothesen durch Additive Fertigung. Vortrag. 15. Fachtagung Rapid Prototyping, 15.04.2016, Hamburg, Germany. Munsch, M.: Laser additive manufacturing of customized prosthetics and implants for biomedical applications. In: Laser Additive Manufacturing: Materials, Design, Technologies, and Applications. Edited by Brandt, M. Elsevier Science & Technology; 2016. Herzog, D., Seyda, S., Wycisk, E., Emmelmann, C. Additive manufacturing of metals. Acta Materialia, 117:371–392, 2016. Munsch, M.: Regulatory requirements of additive process chains for manufacturing of medical products. Vortrag 20.06.2017. RapidTech 2017. Erfurt, Germany. Munsch, M.: Additive Fertigung metallischer Endoprothesen: Anwendungen und regulatorische Anforderungen. Lecture 23.11.2017. Additive Update, Switzerland Innovation Park Biel/Bienne AG, Switzerland. Munsch, M.: Additive Manufacturing of Endoprostheses: Methods, Materials, Applications. Guest lecture 11.01.2018, course Biomaterials by Prof. Morlock/TU Hamburg. Hamburg. Wycist, E.: Quality Assurance of High Performance Titanium Parts. Inside 3D Printing, 2018 Düsseldorf, Germany.